A focus on the development of the whole child is the perfect fit for our preschoolers. Our Preschool program is designed for children three and four years old. With a heavy focus on learning through play, children are guided at their own pace to grow, develop, and master skills. Preschoolers are active. Their brains and bodies are designed for moving, exploring, creating. 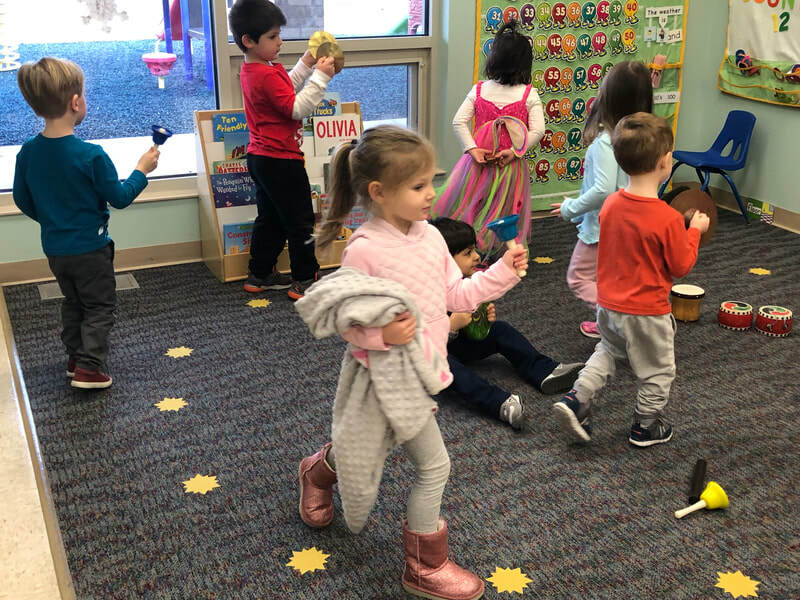 ​Our preschool curriculum focuses heavily on social/emotional development: managing feelings, making friends, taking turns, developing empathy, solving problems. We work on being part of a group, following requests, cleaning up our things, and more. Our curriculum also includes fine and gross motor development, language and literacy development, scientific thinking, cognitive reasoning, math, and logic. Each of our preschool classrooms has a teacher and at least one assistant. While we encourage toilet learning prior to starting school, we understand that like other skills it is developmental and has to happen when the child is ready. With our preschool program, you have a choice of three or four days. Preschoolers are here Tuesday-Friday from 9:15—11:45.